I am using NEAT-Python to mimic the course of a regular sine function based on the curve's absolute difference from 0. The configuration file has almost entirely been adopted from the basic XOR example, with the exception of the number of inputs being set to 1. 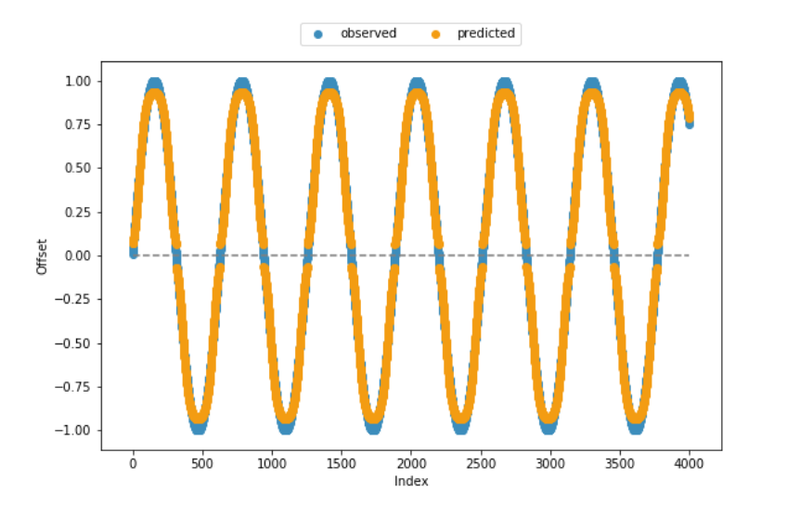 The direction of the offset is inferred from the original data right after the actual prediction step, so this is really all about predicting offsets in the range from [0, 1]. The fitness function and most of the remaining code have also been adopted from the help pages, which is why I am fairly confident that the code is consistent from a technical perspective. As seen from the visualization of observed vs. predicted offsets included below, the model creates quite good results in most cases. However, it fails to capture the lower and upper end of the range of values. Any help on how to improve the algorithm's performance, particularly at the lower/upper edge, would be highly appreciated. Or are there any methodical limitations that I haven't taken into consideration so far? There exist different implementations of NEAT, so the details may vary. Normally NEAT handles biases by including a special input neuron that is always active (post-activation 1). I suspect bias_max_value and bias_min_value determine the maximum allowed strength of connections between this bias neuron and hidden neurons. In the NEAT code that I used these two parameters did not exist, and bias-to-hidden connections were treated as normal (with their own allowed range, in our case -5 to 5). 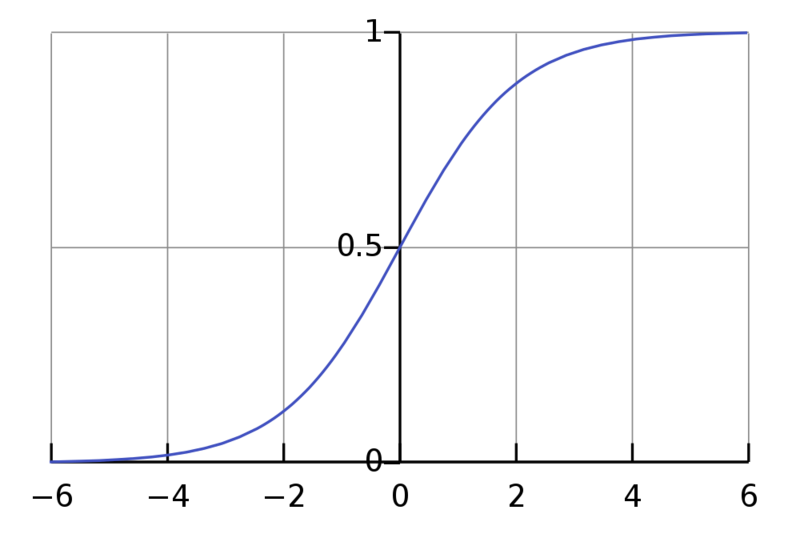 If you are working with Sigmoid functions your output neurons will work on a 0-to-1 range (consider faster activations for hidden neurons, RELUs perhaps). This will allow your theoretical outputs to be in a range that goes beyond your expected outputs (-0.1 to 1.1 in my example), and reaching 0 and 1 will be easier (and actually possible strictly speaking). Not the answer you're looking for? Browse other questions tagged python neural-network genetic-algorithm evolutionary-algorithm neat or ask your own question.